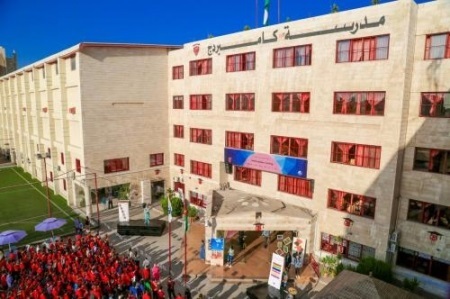 Amman - TAG- Confucius Institute has signed a cooperation agreement with Cambridge International School in the field of Chinese language education for junior school at Cambridge International School. According to the agreement, Chinese language will be included in the 2018-2019 academic year curriculum for the first and second grades, with an increase in the stages of Chinese language education over the coming years. The agreement was signed by Mr. Mamoun Abu El Sebaa, Executive Director of TAG-Confucius Institute and Ms. Diana Al-Efrangi, Director of Cambridge International School. Mr. Abu Al-Sebaa stated that this cooperation between the two parties will include, besides language education, cultural, social and scientific aspects, where the Institute will organize and participate in cultural and scientific activities within the school such as: United Nations International Day, China Joy festival, Spring Festival and Chinese New Year celebrations. He also stated that the Confucius Institute will send a number of Cambridge International students to China as a part of the summer camp activity, which is held every year in Beijing and Shenyang. It is worth mentioning that TAG- Confucius Institute was established in September 2008 to introduce the Chinese language and culture, as well as achieving a greater mutual understanding between the Arab and Chinese cultures. This unique initiative is based on the cooperation agreement between TAG- ORG and Confucius Institute in China.